i was looking for something to cap off the philosophy directive. 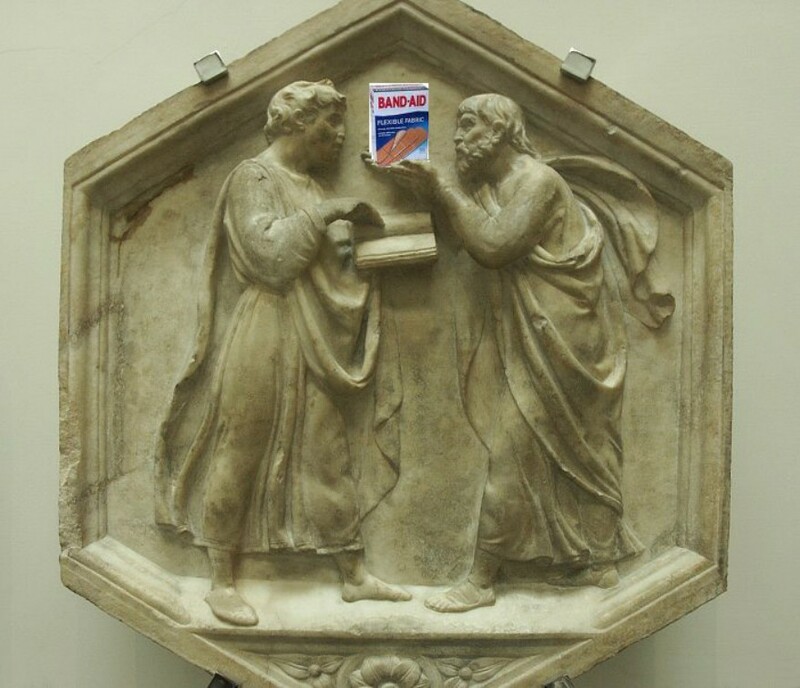 i found this cool artifact that shows a man with his hands out to the other man. the man holding the book looks like he wants something so provided the other guy with a fresh box of band aids to give him. obviously they didn’t have band aids in these days, but if they did i bet it would have helped prevent a lot of infection and contamination.